One of the crowning achievements of the New Romanian Cinema, Cristian Mungiu’s Palme d’Or winner combines rigorous realism with breathtaking suspense in its account of women’s oppression during the era of Ceaușescu. No one has utilized the actress’s elusive minimalism and artful underplaying to more brilliantly complicated effect than French director Olivier Assayas. The wide-open vistas of Montana are the backdrop for three interlocking stories about women confronting the disappointments of small-town life. 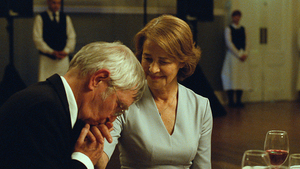 With his unique blend of British realism and romantic fatalism, director Andrew Haigh exposes the quiet desperation at the heart of a long marriage.